Dr. Amy Sue Hayes is one of Carson Medical Group’s OB/GYN physicians who has served the families of Carson City since 1997. After graduating from Rochester School of Medicine in 1987, she moved to Phoenix, AZ to complete her medical training and then practiced for six years in the Phoenix area. 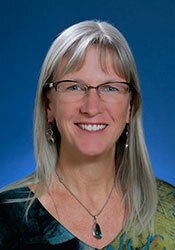 In 1997, she returned home to Northern Nevada to raise her family and joined Carson Medical Group. Raised in the Lake Tahoe area, Dr. Hayes loves Northern Nevada. From downhill to backcountry skiing, to hiking, paddle boarding and exploring Lake Tahoe with her kids and grandkids, Dr. Hayes loves sharing the outdoors with her friends and family.